As you wait on Me, I will renew your strength. 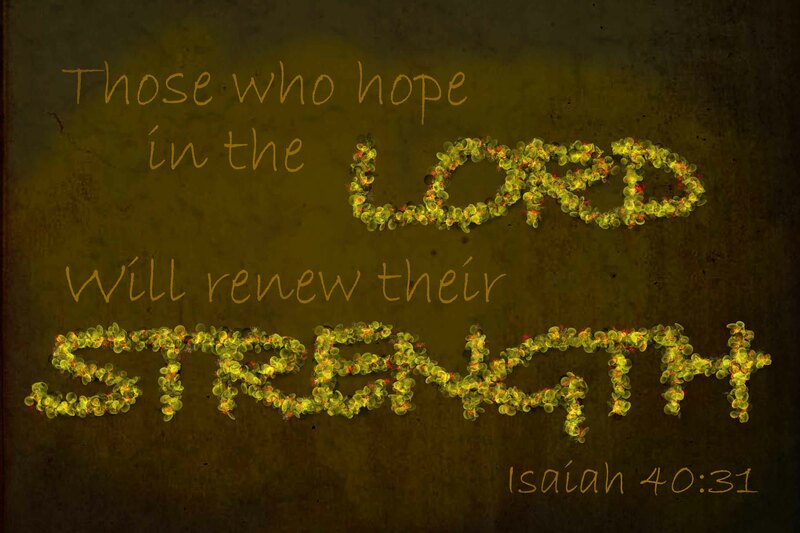 I will renew you! I will be the cause and the effect, says the LORD. Wait for Me to give you the desires of your heart. You own efforts will not produce what I can do. Trust that I Am good for it. Believe that I Am a GOD of miracles, signs and wonders, and I desire to do the miraculous for you and in your life and in your midst, says the LORD. Do not let impatience rule you or absorb your thoughts or distract you from trusting in Me. Believe that I Am always on time, Am unencumbered, cannot be detained, or distracted, and there is nothing that can stand in My way or keep Me from answering your prayers and supplying your need. I will fully bring you into your inheritance in Me and equip you with all that you need to fulfill your destiny and purpose in ME, says the LORD. Nothing can keep you back either, says the LORD. I Am with you and on your side. No power can conquer you, for I have given you My Spirit, and made you more than a conqueror. I call you undefeatable in Me, says the LORD. Hold your head up high and face the enemy with the boldness that I have given you. You are not the tail, but the head. I have not given you a spirit of timidity and fear is not an option. Arise and stand strong in ME! My weapons that I have given to you are mighty and cannot be overpowered. Engage the enemy with full faith and confidence that he will run in terror from you, for you have My sword of My SPIRIT and My shield of faith, and you will overwhelm the enemy and possess your promised land of blessing, and you will eat the good of the land, says the LORD.